There’s an upgraded “Ghostbusters” theme song and, boy, is it bad. The original 1984 “Ghostbusters” is a film of its time, as is the theme song by Ray Parker Jr. The original song isn’t very good, by any means. But it does the job. It tells us that if you need some ghosts busted, don’t be afraid: you can call these fellas called the Ghostbusters and they will bust those ghosts for you. And it says that all to a funky beat. For the first 20 seconds, you get a fast-paced trap music beat with a heavy electric guitar thrumming in the foreground. It sound nothing like the original theme song. And then you hear Patrick Stump’s voice: “If there’s something strange in the neighbourhood, who are you gonna call?” At that point, it’s obvious just how bad the rest of the song is going to be. Missy Elliot drop in at the 1:40 mark. Unlike most Missy Elliot projects, she doesn’t make everything better. 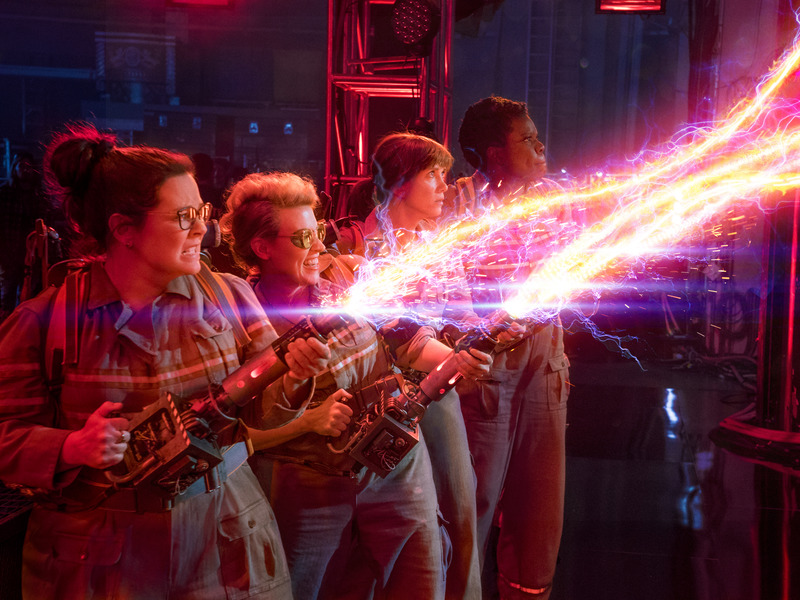 The “Ghostbusters” remake, starring Melissa McCarthy, Kristen Wiig, Kate McKinnon, Leslie Jones, and Chris Hemsworth, is in theatres July 16.